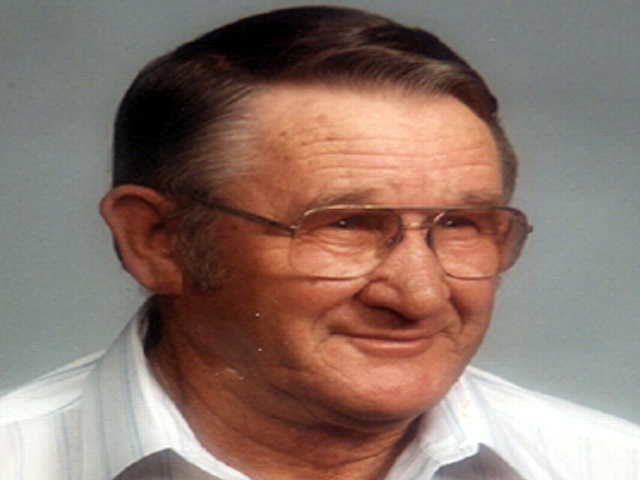 HANSHEW, CECIL LEE, age 83 of Orlando passed away Monday, Jan. 23, 2006. Born in Little Rock, AR, he moved to Central Florida in 1969. He was retired from the floor covering industry. He was a Veteran of the U.S. Navy during World War II, an accomplished musician and singer, and of the Baptist Faith. He is survived by his wife, Martha Hanshew; sons, Dan and Tony both of Winter Park, Rick of Apopka, daughter, Linda Gallagher of CO, son, Russell DeBord of OH, daughters, Theresa Paige and Darla Wright both of Orlando, Deborah Thomas of IN and son, Bradley DeBord of Orlando; sister, Violet Evans of MO; brother, Arthur Hanshew of CA; 18 grandchildren and several great grandchildren. Visitation will be held Friday, Jan. 27, 2006 from 6-8PM at Newcomer Family Funeral Home, 895 S. Goldenrod Rd., Orlando. To leave a special message for the family online, please visit: www.newcomerfamily.com. Services for Cecil Lee Hanshew, of Orlando, Fla., are 11 a.m. Monday, Jan. 30 at Community Funeral Services with burial in Fair River Baptist Church Cemetery. Visitation is Monday from 9 a.m. until services at the funeral home. Mr. Hanshew, 83, died Jan. 23, 2006, in Orlando, Fla. He was born on July 20, 1922, to Henry Hanshew and Maude Moore Hanshew. He was a member of the Baptist faith. He was a veteran of the Navy during World War II. Survivors are his wife, Martha Hanshew, of Orlando, Fla.; his sons, Dan Hanshew and Tony Hanshew, both of Winter Park, Fla., and Rick Hanshew, of Apopka, Fla.; his daughter, Linda Gallagher, of Colorado; his step sons, Russvell DeBord, of Ohio, and Bradley DeBord, of Orlando, Fla.; his step daughters, Theresa Paige and Darla Wright, of Orlando, Fla., and Deborah Thomas, of Indiana; his brother, Arthur Hanshew, of California; his sister, Violet Evans, of Montana; 18 grandchildren; and several great-grandchildren. Obituary of Cecil Lee Hanshew. 1930 census, Blufton Township, Yell County, Arkansas; roll T626-99, ED 1, page 1B, line #51, dwelling #10, family #10. Obituary of Carrick Keenan DeBord; "The Plain Dealer", Dec 1 2005; contributed by Hurshel Debord ().